NASHVILLE, TENN. (November 30, 2018) – Big Loud Records rising star JILLIAN JACQUELINEcontinues to impress with the release of the “Tragic” live acoustic video. 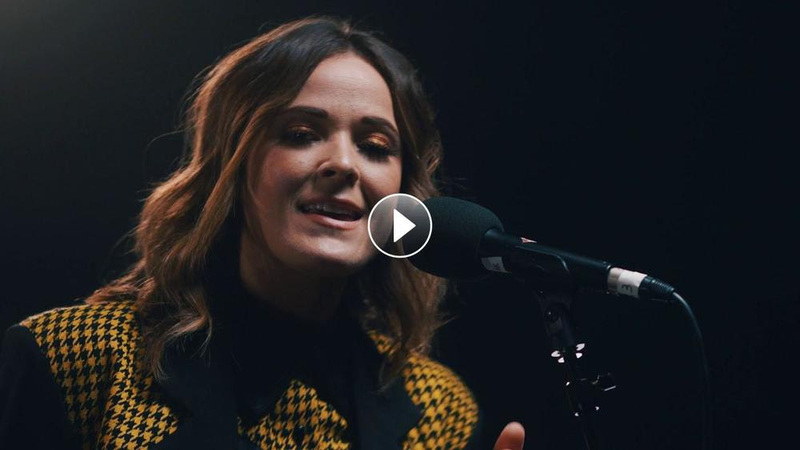 Filmed at YouTube’s Nashville Sessions, the clip showcases a stripped-down version of the candidly written track with Jacqueline’s crystal clear vocals and signature style taking center stage. Penned by Jacqueline alongside Andrew DeRoberts and Bob DiPiero, “Tragic” is a fan-favorite from her latest EP, SIDE B. Watch the repeat-worthy live acoustic video for “Tragic” here. Recently wrapping her run as a special guest on Kip Moore’s AFTER THE SUNBURN TOUR, she reunited with the hitmaker this weekend to kick off the ROOM TO SPARE: THE ACOUSTIC TOUR. Taking the stage last night for a sold-out Milwaukee, WI, crowd, Jacqueline will wow another sell-out room in Des Moines, IA, before finishing the weekend in Emporia, KS (12/1). Today, Jillian Jacqueline is featured on the Nashville Songwriters Association International (NSAI) podcast, “Coffee Break.” Watch as she opens up about the songwriting process behind the tracks on her critically-acclaimed Big Loud Records debut EP, SIDE A, as well as buzzed-about follow-up, SIDE B. Listen now on Apple and Soundcloud. Recognized as “one of the most versatile music makers today” (CMT), Jacqueline broke big in 2018 as Billboard’s monthly “Chartbreaker,” making her national television debut on NBC’s Late Night with Seth Meyers as well as her Grand Ole Opry debut. She has opened for chart-topping stars including Thomas Rhett, Brett Eldredge and Jordan Davis, while also landing high-profile gigs at major festivals like Country LakeShake, Faster Horses, Watershed, the all-genre Bumbershoot and Pilgrimage and performed the national anthem at this summer’s CMA Fest.